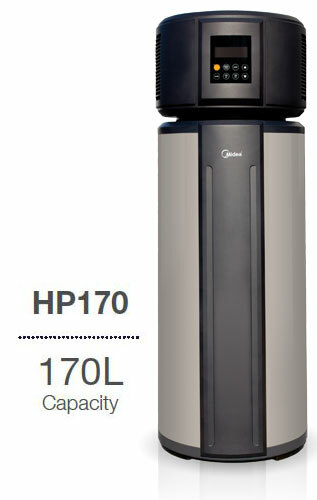 The full price of a Midea HP170 heat pump with standard installation is $3000. However we provide a discount of $800 in exchange for the renewable energy credits that arise with the installation. This brings the price down to $2200. This makes it the best value hot water system on the market! It will be positioned on the same concrete slab or a similar concrete base that your old hot water system was positioned on. At the time of installation, we will ask you to sign a form in which you assign the renewable energy credits from this installation to us. These credits are known as Small-Scale Technology Certificates. To keep our administrative costs as low as possible, we require full payment at the time of installation,normally by credit card. We will provide you with a firm quote prior to installation.